Shirts With Random Triangles: Duke Student Broadcasting Creates Petition Asking Duke Guard Grayson Allen To Go Easy On UNC This Saturday. Duke Student Broadcasting Creates Petition Asking Duke Guard Grayson Allen To Go Easy On UNC This Saturday. Grayson Allen. Image via fayobserver.com. North Carolina and Duke will face each other for the final game of the 2016 regular season on Saturday. Duke has dominated the series recently, winning six out of the last seven meetings with UNC, and have a four-game winning streak against the Tar Heels. Even though the hatred between the two schools is real, relevant, and awe-inspiring, Duke Student Broadcasting seems to want to put on the brakes a little bit. 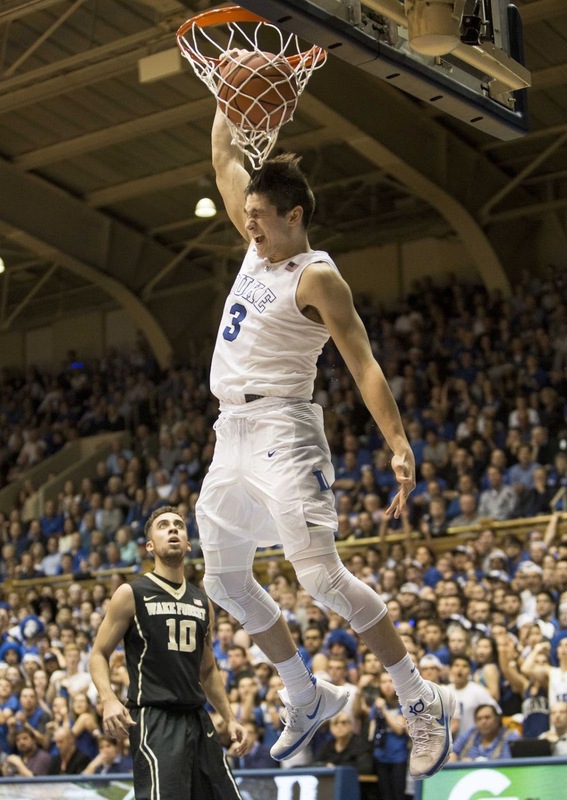 Through a change.org petition begging Duke guard Grayson Allen, the latest longest in a line of hatable white players, to go easy on UNC this Saturday, and not to "score more than 50 points" on them. "Grayson, don’t get us wrong. We love how you’re always in attack-mode and can basically score at will, especially against crappy defenses like UNC’s. But with Duke now dominating the rivalry on a regular basis, we feel bad for them. We also feel bad because Carolina struggles to be original at times. Two weeks after we released a undercover video that went viral, three journalism students attempted to replicate our success. Sports Illustrated summed it up nicely, saying they "failed miserably." We can't help but feel some level of pity for Chapel Hill, both on and off the court, and that's why we've created this petition. All that we ask is that is you embrace a spirit of charity and generosity." There's even a companion video promoting the petition, but not asking Allen to show mercy on USC. Naturally it's a parody of those infamous Sarah McLachlan ASPCA videos of the Aughts. If you think this asking of Allen to go easy on UNC is about compassion, think again. Allen has already been reprimanded by the ACC for his second Laettner-level tripping of an opposing player this season. Any similar action on Saturday may cause him to be suspended for the ACC and NCAA tournaments. This it total self interest, folks.